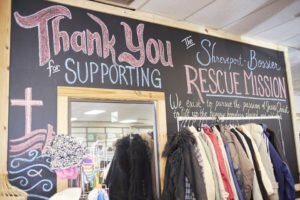 Subscribe to our event calendar! 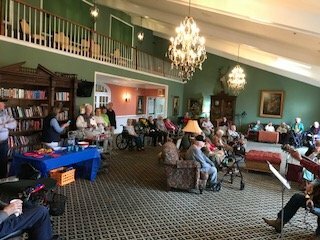 Nestled in the beautiful Blue Ridge Mountains, Brasstown Manor is a quality senior living community. We offer assisted living care for those in need as well as independent living spaces for those who want to downsize. View our monthly activities calendar below. Hover over specific events to read more information. Subscribe to a single event or the whole calendar to stay up-to date, and read our Blog to learn even more. 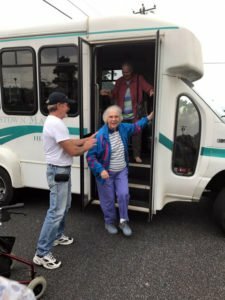 Our Assisted and Independent Living communities have the option to attend various churches in the area each Sunday. Who wouldn’t want to sit comfortably on the couch on a lazy Sunday afternoon and listen to an enjoyable book? Join us every Sunday afternoon with Linda! 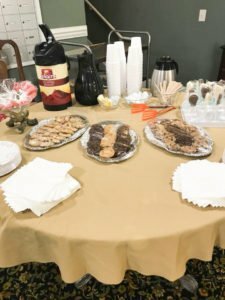 Join us each morning with a nice hot cup of coffee. Who wouldn’t enjoy waking up to the aroma of coffee and the company of great friends. You can also enjoy donuts, Debbie cakes, or hot coco if you would like! Starts between 1:15 pm and 2:00 pm. 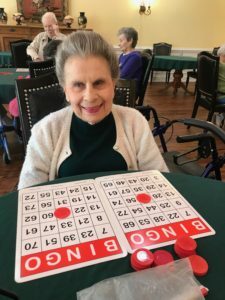 Our residents get to enjoy bingo several times each week. The game begins between 2:00 and 3:00 pm. An excellent form of exercise, residents enjoy working each muscle in their body at a pace that they can follow. Just starting out? Go at your own pace with no worries! Enjoy a hassle free shopping experience. Let us help you, load and unload your groceries, and even drive! Do you enjoy some good gospel music? If so, join us in the Peach Room every Wednesday morning at 11:00! Starting time varies between 1:30 pm and 2:30 pm on Wednesdays! Taking place on the 1st Thursday of each month, our local VFW joins with our veterans and other members of the community in our main lobby. Visiting over refreshments, a good time is had by all. The VFW also joins us in honoring our veterans at our annual Quilt of Valor ceremony. Located at Young Harris College. Entry fee is $5.00. 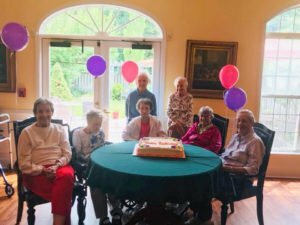 Every month we celebrate the birthdays of our amazing residents! 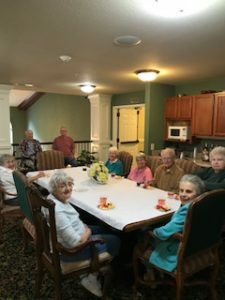 They get to enjoy a delicious birthday cake and refreshments as we celebrate their years of life. 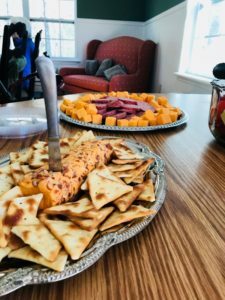 Once a month, we offer wine and cheese on both sides of our community. An assortment of wine is provided alongside assorted cheese, crackers, and cookies. Join us every Tuesday morning for a relaxing morning of watching movies.